Wherever you ride, your feet should feel comfortable and well supported. Join the dark side or just show up for one of their weekday training rides and draft off the pack. 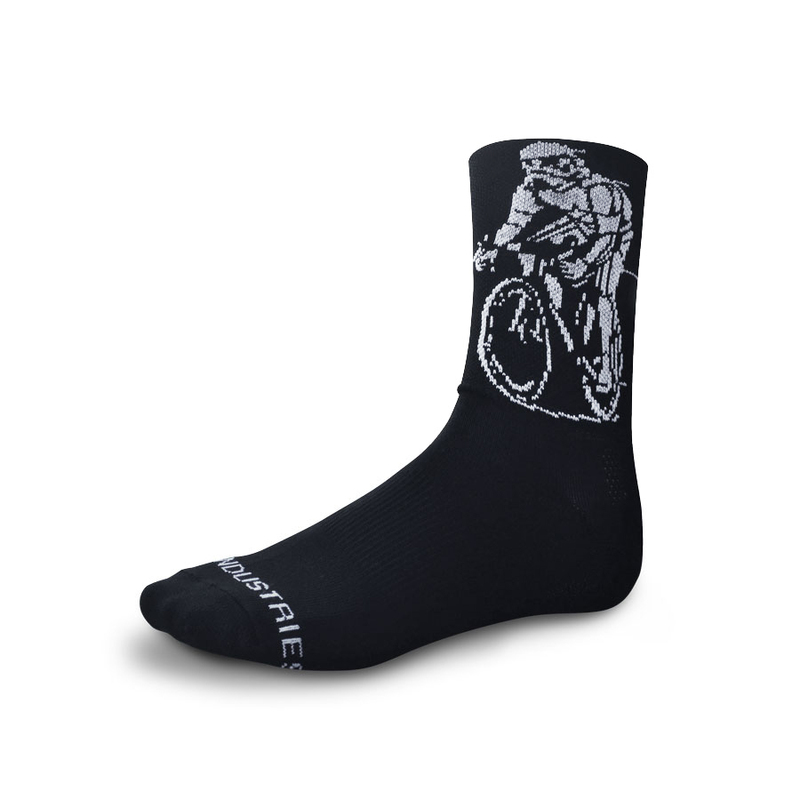 Show your support of the Imperial Armed Forces cycling team with DHDwear's new Peloton Trooper socks. Black with white graphic. 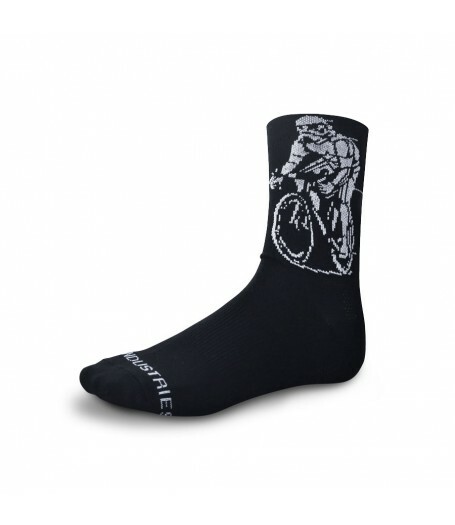 These socks are made in the USA by PEDALindustries with FASTMAX COMPRESSION technology and EZBREATHE yarns.